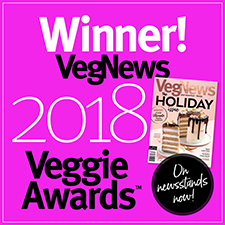 O-Mega-Zen3® is the original all-vegan Omega-3 supplement developed by NuTru, composed of fish-free DHA-rich marine algal oil in a vegetable-based capsule. Containing 300 mg of DHA per vegetable-based capsule (which is more than even most other non-vegan formulas), this once-a-day supplement delivers health benefits to the cardiovascular and brain/central nervous system. Hailed as being one of the most beneficial supplements you can take, this is one supplement that vegans will definitely want to use. Hexane-free, wheat-free, soy-free, yeast-free, sugar-free and starch-free. Each bottle contains 40 capsules. Normally $24.99 per bottle, we're happy to offer an everyday low price of just $18.99 per bottle! To read more about the benefits of NuTru's products, click here! From Shaylen Snarski of Chesterfield, Michigan on 3/17/2016 . This product is the absolute BEST of its kind. I recommend this to vegans and non vegans alike. In this world, we should all be taking long chain omega-3's (in my opinion) to ensure our omega 3 levels. Algae is THE source for this (fish only contain DHA because they consume algae). Not only is algae the best source of direct DHA but it is the purest, safest, and only sustainable source as well as cruelty free. "Fish oil" and commercial fishing in general, is killing our oceans and all life in it and thus entire planet. There are lots of algae DHA supplements out there, but most of them have loads of unhealthy additives and fillers and unhealthy oils! And worst of all, 99% of them all contain palm oil which is so horrifically unsustainable and destructive that I don't consider it any less cruel than animal products. I am GRATEFUL for this product being free of the unethical and unhealthy palm oil as well as all the other usual unnatural and unhealthy (and unnecessary) fillers that are in far too many of these supplements. My baby's brain is amazing!!! From Edrea of Detroit, Michigan on 11/29/2013 . The first place I went when I found out I was pregnant was to my "vitamin guy." He suggested this product for the baby's brain development. I also took Rainbow 1 a day prenatal, and CLA (only in my 3rd trimester). My daughter was born (fully unvaccinated, no vitamin k, no eye ointment-therefore, her brain stayed the way it was created).... amazingly aware. Our first day in the hospital we tried to give her a pacifier, she reached up, grabbed it with her hand and pulled it out. She has made eye contact and been able to follow our voices and faces all over a room. She is 10 weeks old, and has been pointing, cooing, listening and reacting to music, even assisting with her diaper changes as older babies do.... for weeks. I 100% believe this product is the reason her brain developed so perfectly!!! Thank you so much! I took the capsules, 1 a day for the first 2 trimesters, and then took the liquid every other day or so for the rest, and continue to take this product while breastfeeding! From Anonymous of Boca Raton, Florida on 2/11/2013 . 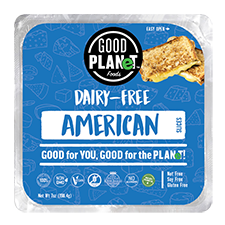 As a long time vegeterian, I tried this product, and was very impressed. It enhances your own bodies natural motions and energies very much so, it is a lifestyle enhancement, and plus we are leaving the fish alive in their habitats. Definately recomend highly. From Megan Mc of San Jose, California on 8/22/2011 . From Anonymous of easton, Pennsylvania on 5/31/2011 . i suffer from extreme food allergies and finding an acceptable omega 3 has been difficult. i don't want to use fish oil due to allergens and i have been unable to tolerate other algal oil. 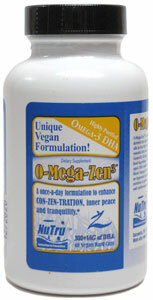 O-Mega Zen3 is far superior to its competitors. i find O-Mega Zen3 as close to perfect as one could want. No algal taste; No allergic reaction; excellent health improvement. Try this brand and you will never use another.